This is beyond ridiculous. Just make the announcement!! Generals will decide what is unlawful, not the President. "Only following orders," not an excuse anymore. The super secret ‘Zuma’ spysat is a complete mystery and it has not been claimed by any U.S. government entity – not even the elusive NRO spy agency! The NRO does claim ownership of a vast fleet of covert and hugely capable orbiting surveillance assets supporting US national security. SpaceX has also had to deal with an engine testing problem that caused a fire on a test stand while preparing to hot fire a Block 5 Merlin 1... on Nov. 4. It is not known if this was part of the ‘mission assurance’ issues. The report further notes, the Finma decision was issued on June 30 and should have been published the following week but JPMorganm tried to prevent the publication of the judgment. More recently, the Federal Administrative Court dismissed the appeal. In response to money-laundering violation, JPM said that in support of safety and soundness of global monetary system, “we have made and continue to make significant enhancements to the firm’s AML program to ensure we are meeting regulatory expectations,” according to an emailed statement sent to Bloomberg. Unfortunately, JPMorgan also said that it can’t, or rather won't, provide further details since the Finma resolution from June 2017 isn’t public. This means that anyone wondering if Jamie Dimon's bank was using (and thus trading) bitcoin to circumvent Swiss anti-money laundering regulations, will just have to ask Jamie Dimon in person during his next public appearance. A National Security Agency hacking tool leaked in April by an elite group called the Shadow Brokers has now been used in a cyberattack on computers in more than 150 countries. Intelligence officials say North Korean-linked hackers are likely suspects. 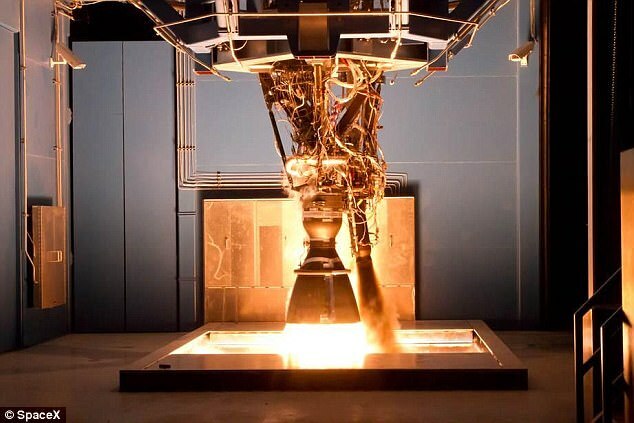 SpaceX has revealed one of its next-generation rocket engines has exploded during a test. No one was injured, and the company said it is 'now conducting a thorough and fully transparent investigation of the root cause' of the explosion. 'SpaceX is committed to our current manifest, and we do not expect this to have any impact on our launch cadence,' the firm said. A SpaceX spokesman told the Washington Post the engine that exploded was a new engine that hasn't yet flown, although is is believed is was scheduled for launch late next year. Testing on the engine, known as the 'block 5' version of the engines in the Falcon 9, will be suspended while the company looks into what went wrong. The company will also start repairing the test bay the engine exploded on, which should take two to four weeks to complete, according to The Verge. In 2015, SpaceX's Falcon 9 rocket exploded a couple of minutes after lifting off from Cape Canaveral en route to deliver cargo to the International Space Station. Not since the Great Depression has wealth inequality in the US been so acute, new in-depth study finds. It criticised the work of lobbyists and the amount of money kept in tax havens. Oxfam predicted that the 1% would overtake the rest of the world this time last year. Despite unemployment in the U.S. at record lows, wage inflation remains subdued, pushing real wages lower, and what wage inflation there is goes to those who are already wealthy. Post-crisis and the demise of the U.S. manufacturing sector saw many in the rust-belt area out of work. With little or no qualifications they were forced into low paying jobs with no room for wage negotiation. This shift has suppressed low income wages for a decade. "Median income increased 9 percent for the top income decile, between 5 and 8 percent for the middle three quintiles, and 3 percent for the bottom income quintile," the report said. "These patterns are consistent with a widening of the income distribution between 2013 and 2016." As with the income gap, the wealth gap is just as alarming. As the economy recovered after the Great Recession, the gap between rich and poor widened. The record-breaking U.S. equity market coupled with the housing market recovery saw the average net worth of all families increase 16 percent to $97,300. However, the mean net worth rose 26 percent to $692,100 – meaning the recovery has disproportionately helped the rich. San Francisco: Apple shifted much of its offshore wealth from Ireland to a tax haven in the British Isles, according to a review of leaked Paradise Papers documents on Monday. After the US technology colossus stated publicly in 2013 that it was paying its proper share of taxes, it moved the bulk of its untaxed overseas cash to Jersey, a British dependency in the Channel Islands, various media organizations reported based on the once-secret cache of documents known as the Paradise Papers. “Apple’s subsidiary, which holds overseas cash, became resident in the UK Crown dependency of Jersey, specifically to ensure that tax obligations and payments to the US were not reduced,” Apple said. Apple’s lengthy written response did not specifically address what taxes, if any, were paid on the original profits channelled to Jersey. The world’s most valuable company noted that it has earmarked $36 billion to cover deferred US taxes. Prior to 2014, Apple had taken advantage of tax rules to route overseas revenue through Irish subsidiaries to minimize taxes. As Apple came under pressure in the US and Europe about what was called the “double Irish” scheme, it enlisted offshore finance law firm Appleby to find a new place to stash cash out of the reach of tax collectors, reports said. In its post, Apple insisted it is the world’s biggest taxpayer, paying more than $35 billion in corporate income taxes during the past three years, plus billions more in taxes on property, payrolls, sales and value-added tax, or VAT. Apple maintained that the “vast majority of the value in our products is indisputably created in the United States,” the home to design, development engineering and more for the company. Apple said that its effective global tax rate is 24.6%. The company currently faces an EU demand for some $14.5 billion in taxes based on a ruling that its tax structure in Ireland amounted to illegal state aid. Paradise Papers documents also show details of offshore deals involving Queen Elizabeth II, the US commerce secretary, a fundraiser for Canada’s prime minister and others. An enormous new leak of tax-haven financial records — rivalling the Panama Papers in size and scope — is laying bare some of the financial secrets of the world's elite, from the Queen to Prime Minister Justin Trudeau's chief fundraiser to U.S. President Donald Trump's commerce secretary, along with more than 120 politicians across the globe. The 13.4 million records in what is being dubbed the Paradise Papers come largely from Appleby, one of the biggest offshore law firms on the planet, which was founded in Bermuda and has branches in tax havens around the world. The records expose the assets and sometimes murky dealings of a host of characters, as well as the ways corporate giants like Apple, Nike and Uber avoid taxes legally through increasingly creative bookkeeping. The leaked Appleby files contain the names of more than 3,000 Canadians and Canadian entities, including hundreds of companies, wealthy individuals, lawyers, accountants, and people who inherited money stashed in their family's offshore accounts in Bermuda or the Cayman Islands. After the news of the leak broke Sunday, John Power, a spokesperson for the minister of national revenue, said "the CRA is reviewing links to Canadian entities and will take appropriate action." In fact, Canada ranks as one of Appleby's biggest sources of clients revealed in the documents, behind the United States, the U.K. and China. This vast offshore industry makes "the poor poorer" and is "deepening wealth inequality," said Brooke Harrington, a wealth manager and Copenhagen Business School professor who is the author of Capital Without Borders: Wealth Managers and the One Percent. "There is this small group of people who are not equally subject to the laws as the rest of us, and that's on purpose," Harrington said. Paul Martin's former shipping empire Canada Steamship Lines — now run by his sons — is one of Appleby's "biggest clients," according to a document in the leak. Martin offered no comment and CSL said it complies with all laws and regulations wherever it operates. Brian Mulroney was on the board of Said Holdings, run by Syrian-born billionaire Wafic Said, who helped broker the biggest arms deal in British history. Through a lawyer, Mulroney said he considers Said "a good friend" and is "proud" to have served the company. Jean Chrétien lobbied for an East African oil venture called Madagascar Oil. A register of the company's investors lists him as the recipient of 100,000 stock options, but Chrétien told CBC/Radio-Canada he never got, or even heard of, any such options. He confirmed he did briefly do some consulting for the company, and his law firm at the time, Heenan Blaikie, was paid for his work. One of the webs of offshore accounts and companies in the Paradise Papers leads to Trump's commerce secretary, private equity tycoon Wilbur Ross, who has a stake in a shipping company that has received more than $68 million US in revenue since 2014 from a Russian energy company co-owned by the son-in-law of Russian President Vladimir Putin. The revelation comes against a backdrop of growing concerns about the links between Russia and people close to Trump. A spokesman for Ross said that the commerce secretary never met Putin's son-in-law or the Russian energy company's other owners, and that Ross recuses himself from matters that relate to international shipping and "has been generally supportive of the administration's sanctions" of Russian entities. About half the 13.4 million Paradise Papers files come from Appleby and Bermuda-based corporate services provider Estera, which split off from Appleby late last year. The records span everything from correspondence with clients and financial statements to internal company memos, emails and database entries. The rest of the leaked records are from another offshore services firm called Asiaciti Trust based in Singapore, as well as 19 corporate registries maintained by governments in other tax-haven jurisdictions. In addition to disclosures about heads of state and corporations, the files reveal details about the financial lives of the rich and famous. While having an offshore account or company is often legal, the built-in anonymity of tax havens tends also to attract money launderers, drug and arms traffickers, tax evaders and others engaged in questionable conduct, the leaked records show. Appleby, for example, is one link in a chain of offshore actors who helped Russian oligarchs and government officials to purchase jets, yachts and other luxury items. Arkady and Boris Rotenberg, two Russian billionaires and childhood friends of President Vladimir Putin, were able to buy jets worth more than $20 million US in 2013. U.S. and Canadian authorities imposed sanctions on the Rotenbergs in 2014 for their material support of Putin-backed companies and projects. Appleby cut its ties with the brothers but, in one case, received approval from the government of the Isle of Man nearly two years after sanctions were imposed to disburse fees to keep one of the brothers' companies on the business registry there. The Rotenbergs did not reply to requests for comment. PowerPoint presentations prepared internally by an Appleby employee and other documents cite examples of other controversial or disreputable characters who made their way onto the law firm's client list, including a corrupt Pakistani official, two children of the infamous Indonesian dictator Suharto and an alleged "blood diamond" dealer. In some cases, Appleby quickly reported its suspicions about clients' activities to authorities, as required by law. In other cases, questionable clients raised no eyebrows for years. Appleby did not reply to a detailed list of questions sent by the International Consortium of Investigative Journalists but released an online statement stating it had investigated the ICIJ's questions. "We believe they are unfounded and based on a lack of understanding of the legitimate and lawful structures used in the offshore sector," the statement said. "There is no evidence of any wrongdoing." Appleby said it does not tolerate illegal behaviour and provides advice to clients "on legitimate and lawful ways to conduct their business." "It is true that we are not infallible," the statement said. "Where we find that mistakes have happened, we act quickly to put things right." Marwah Rizqy, a professor of tax law at the University of Sherbrooke in Quebec, said leaks like the Paradise Papers and last year's Panama Papers are vital to understanding how tax havens affect Canada. "The 21st century will be noted for the fight against tax evasion, the fight against tax havens," Rizqy said. "They're a cancer that can be cured by political will." WikiLeaks is offering a $100,000 to the person who can provide them with the redacted parts of the files relating to the assassination of John F Kennedy. However, the organisation will only pay the reward if the unreleased parts of the documents 'show violations of law, inefficiency, or administrative error'. They made the offer in a tweet Friday morning after nearly 2,900 of the JFK assassination files were released last night. Around 200 documents have been held back by federal agencies as they say they pose a risk to national security, a fact which is said to have displeased President Trump. Trump 'had no choice' but to allow intelligence, law enforcement and military agencies to redact specific pages, but unless they can justify this within six months they too will be released. 'He was unhappy with the level of redactions,' a White House official told CNN. The White House has released 2,891 documents related to the assassination of John F. Kennedy that have long been kept secret. The trove of files was published on the National Archives website on Thursday night, and produced revelations and prompted more questions about the fateful day in Dallas in 1963. The documents revealed that Lee Harvey Oswald was being tracked by the FBI before JFK was killed and met a KGB agent in Mexico City's Soviet Embassy two months before the shooting. An unidentified man also called the FBI and said they were going to kill Oswald - just 24 hours before he was gunned down by Jack Ruby while in police custody. A White House official told DailyMail.com during a conference call that while Trump wants to remove the 'veil' of secrecy regarding the 1963 killing, he has 'no choice today but to accept those redactions rather than risk irreversible harm' to the country. The administration has essentially 'kicked the can a bit,' a White House aide admitted after a conference call with reporters on Thursday. The White House has set April 26, 2018 as the new deadline for spy and law enforcement agencies to justify each and every redaction. 'Executive departments and agencies have proposed to me that certain information should continue to be redacted because of national security, law enforcement, and foreign affairs concerns,' Trump wrote in a memo to the National Archives. 'To further address these concerns, I am also ordering agencies to re-review each and every one of those redactions over the next 180 days. At the end of that period, I will order the public disclosure of any information that the agencies cannot demonstrate meets the statutory standard for continued postponement of disclosure,' he added. That revised time-frame will leave him open to claims of a new cover-up as he find s himself stuck between students of the killing who want every scrap of information and intelligence agencies that are counseling restraint. One of the documents released on Thursday night included a transcript of a conversation with FBI Director J. Edgar Hoover concerning a threat made against Lee Harvey Oswald. 'There is nothing further on the Oswald case except that he is dead. Last night, we received a call in our Dallas office from a man talking in a calm voice and saying he was a member of a committee organized to kill Oswald,' Hoover says. He also says he was assured by Dallas police that they would give the shooting suspect protection, but Jack Ruby managed to kill him on November 24, 1963, two days after JFK's assassination. Other files not related to the shooting show that Robert Kennedy was sent a memo when he was Attorney General warning him that a book detailing his affair with Marilyn Monroe was about to be published. There is also more insight into the elaborate plots to kill communist leaders in Latin America, including Fidel Castro. The White House said that about 2,800 files released on Thursday to the National Archives and Records Administration are only those that will be released 'in full' – and agencies will be able to roll out partially edited documents over the next week. 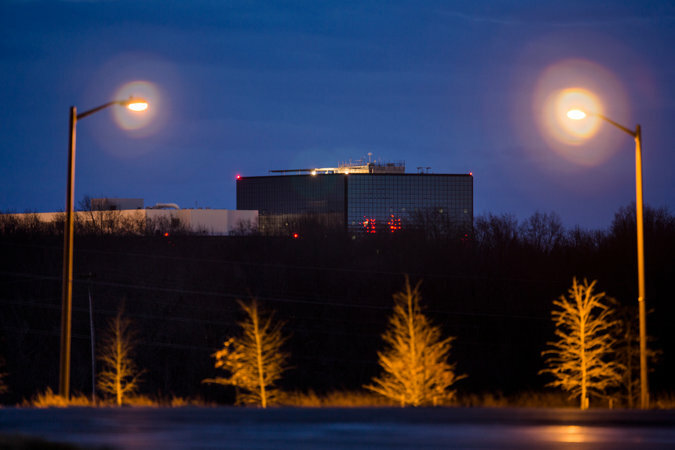 'The vast majority of the requests came from the FBI and CIA,' a White House official said. The National Archives has more than 5 million pages of records related to the 1963 Kennedy assassination including photos, films, recordings and artifacts. About 88 percent of it has been fully available to the public since the late 1990s, and another 11 percent has been released with sensitive portions blacked out. The remaining one percent has remained totally secret. Under a 1992 law passed after Oliver Stone made a conspiracy-laden JFK assassination movie, everything was set for an October 26, 2017 release. The law's framers built in a national security loophole, and Trump has been convinced by America's top cops and spymasters to take it. Kennedy's assassination has attracted conspiracy theories ever since he was gunned down in Dallas on Nov. 22, 1963. Shortly before the Indiana primary election last year, Trump promoted a National Enquirer story about Rafael Cruz, the father of his chief rival at the time, Texas Senator Ted Cruz. The story featured a hazy photograph that it claimed might show Rafael Cruz standing next to JFK assassin Lee Harvey Oswald. 'His father was with Lee Harvey Oswald prior to Oswald's being – you know, shot. I mean, the whole thing is ridiculous,' Trump told Fox News at the time. 'What is this, right prior to his being shot, and nobody even brings it up. They don't even talk about that. That was reported, and nobody talks about it,' Trump said. No matter how much is ultimately revealed about the 1963 killing in Dallas, it probably won't be enough to satisfy conspiracy theorists who believe someone other than Lee Harvey Oswald was involved in the assassination, including the government itself. The Warren Commission in 1964 reported that Oswald was a lone gunman, and another congressional probe in 1979 found no evidence to support the theory that the CIA had been involved. But other interpretations, some more creative than others, have persisted. For example, Roger Stone, a close Trump ally, advanced the unsubstantiated and widely disdained theory that Lyndon Johnson, who became president upon Kennedy's death, was involved in it. Stone said he's lobbied Trump personally to release all remaining materials and believes the CIA is pushing the president to keep some secret. The gunshots that the Warren Commission said killed Kennedy almost immediately inspired theories about whether Oswald had been the lone gunman who, with extraordinary luck by any measure, had hit his target. As the nation mourned in disbelief, Oswald was shot and killed in police custody by Jack Ruby - forcing Americans to consider whether their government was hiding what it knew of the assassination. The event remains in the nation's living memory for a significant slice of the country. Forty-nine million Americans, or 15 percent of the country, are age 65 and over, according to the Census Bureau. They were around age 11 or older at the time. The Warren Commission did little to settle the matter. Theories abounded that Oswald's murder was a cover-up for a conspiracy or government ineptitude. The deadly aim of a lonely, alienated gunman seemed hard to fathom. Wikileaks files suggest that John F. Kennedy assassination may be connected with the fact that he was going to tell the public the truth of about UFOs. Wikileaks Exposed Connection Between JFK Assassination and UFOs Kennedy informed Chief of the CIA's Counterintelligence Staff Jesus Angleton ten days before he was killed in Texas that his administration was close to sharing classified CIA UFO materials with the public via NASA. Coincidently, Kennedy requested James E. Webb to begin peace talks with Russia which would eventually lead to joint space exploration. Webb who is also a board member of the intelligence community may have misrepresented Kennedy's request to mean he wanted to share sensitive UFO information. Kennedy wanted to clarify the known and the unknowns. Recall that Kennedy had vowed to destroy the Central Intelligence Agency. He was now asking them to share data it had guarded fiercely. Kennedy's request to Angleton bounced around and even passed through the desk of William Colby. During an interview with the Second Look magazine in 1979 Marchetti raised some questions regarding the CIA's UFO intelligence gathering program. Marchetti said he believed that the US has been visited by extraterrestrial beings and wondered why the government was determined to acknowledge the visit publicly. He claimed that NSA has information that could confirm such visit. According to popular beliefs, UFOs became an issue of national security after President Truman sanctioned the creation of an agency who primary responsibility was dealing with special activities. UFO investigator Robert Wood said he had hired a forensic company to test the paper Kennedy's letter was printed on the ink age, watermarks, font types and other markings. He is confident that the testing technique is reliable. The assassination of John F. Kennedy, the 35th President of the United States, was determined to be a conspiracy by The United States House Select Committee on Assassinations (HSCA) in 1979. The assassination occurred on November 22, 1963 in Dallas, Texas. President Kennedy was shot and killed while traveling in a motorcade with his wife Jacqueline, Texas governor John Connally, his wife Nellie and secret service agents Roy Kellerman and William Greer. This fatal shooting shocked America and the world. People everywhere were traumatized by the events, schools were even closed and sport events postponed. According to the official version, Lee Harvey Oswald was the one who committed the murder and acted alone. Oswald was also arrested for the murder of a police officer which happened on that same day, Oswald denied killing anyone saying he was just a patsy. Two days later, while being transferred to the county jail, Oswald was shot and killed by Jack Ruby on television, Ruby was also said to have acted alone. Today, polls have shown that 80 percent of Americans have suspected that the assassination was a conspiracy. The United States House Select Committee on Assassinations (HSCA) in 1979 concluded that Kennedy was assassinated by a conspiracy. While agreeing with the Commission that Oswald fired shots at Kennedy and Governor Connally, they said that both the original FBI investigation and the Warren Commission Report were seriously flawed and that there was a "high probability" that two gunmen fired at the President. Ignored witnesses who heard more than three shots. Ignored witnesses who saw a shot and puff of smoke coming from the grassy knoll. Ignored evidence that Oswald did not know the motorcade route and drew suspicion on his visit to the Paine residence on November 21st. President John F. Kennedy was killed under orders of MJ12 as he was threatening to tell the American public the truth about Roswell. JFK was of the opinion that the public would accept the fact of the alien presence without undue panic, but in those days MJ12 was still affronted with the personalities and actions of the Service-to-Self aliens that the CIA, as an arm of MJ12, continually made alliances with. The JFK incident is one which hardened and increased the determination to keep elected officials in the dark as much as possible about the existence and activities of MJ12. Given that the US is a democracy and could potentially elect a dark horse written in on the ballot, such stringent rules about non-disclosure kept elected officials from the danger of being killed. Prior to JFK, presidents and other elected officials were already being kept in the dark, a decision made by an exiting president who did not want a rival political party granted such knowledge. JFK learned what he did due to leaks, shared this with a girl friend long known to be so reliant on sedatives that she could be expected to murmur forth this information with the next man who shared her pillow, and argued incessantly with MJ12 representatives who came to visit him under other pretenses. of suspects such as Oswald or the Mob. But the truth will remain hidden.